The ideal environmentally friendly solution for controlling weeds along roads and highways. It is made of 100% recycled rubber and reduces, or completely eliminates, the use of chemicals or herbicides to control weed growth. 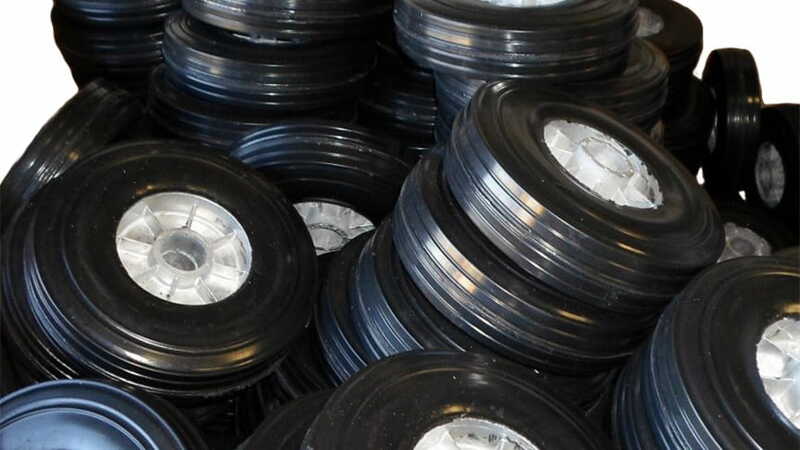 Maintain your carts, dollies, and handtrucks in top condition with die cast and rubberized wheels from Coast Rubber Products. Choose these wheels for your laundry or housekeeping carts, lightweight office or heavy duty industrial carts, we have wheels for every use. The TrafFix Alert is made from 100% recycled rubber and alerts drivers of temporary work zones, flagger operations and safety check points with sight, sound, and sensation. 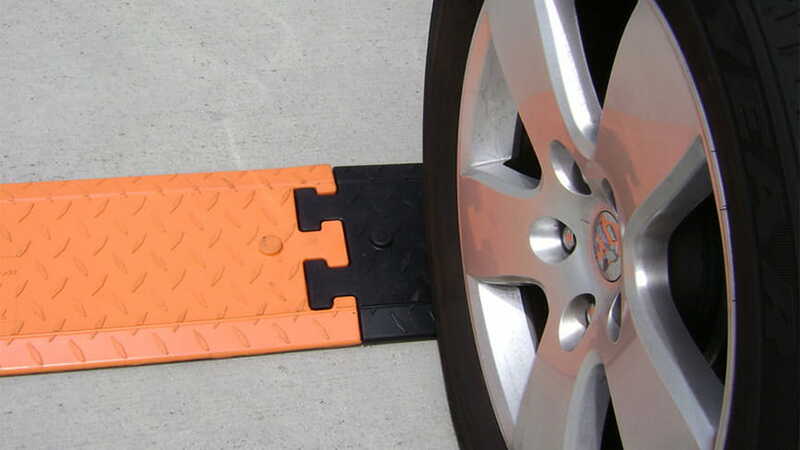 The TrafFix Alert can be assembled in-line or offset and its bi-directional ramp eliminates the need to correctly align the strip on the roadway. Weed Mat is made from UV stabilized recycled rubber and each 48" × 45½" mat removes 10-12 tires from the land fill. 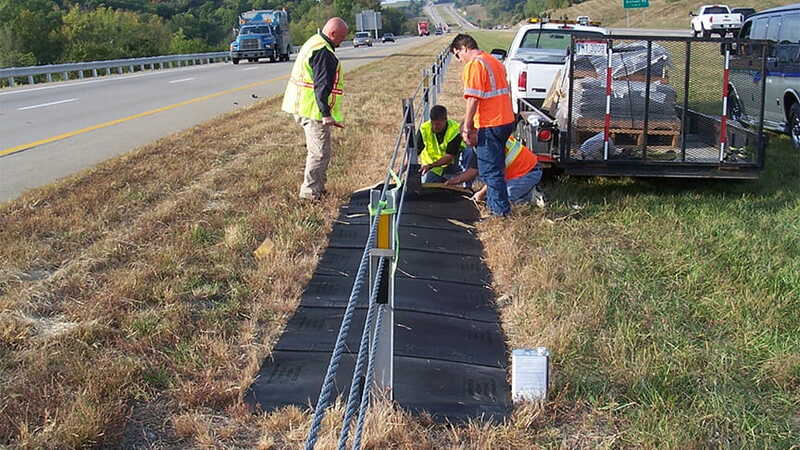 The Weed Mat is flexible and easily installs under existing cable barriers and guardrails, reducing or completely eliminating the need to spray chemicals or herbicides to control weed growth. 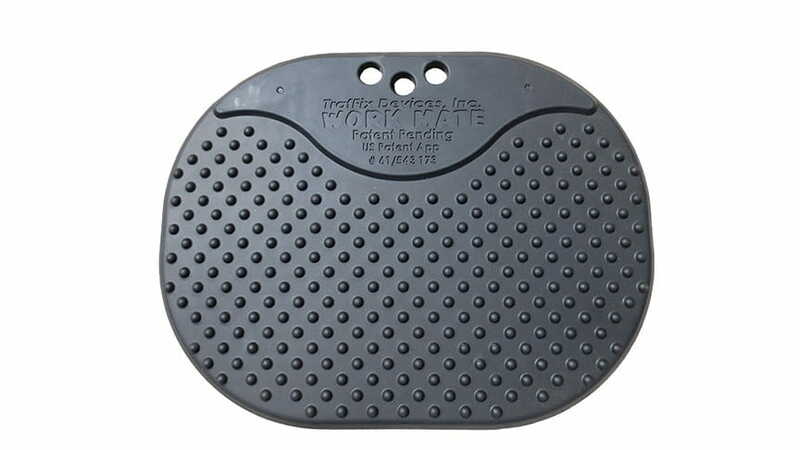 The Work Mate is an anti-fatigue mat that is designed to reduce fatigue caused by standing for long periods of time on hard surfaces. Made from 100% vulcanized rubber, The Works Mate is especially useful during traffic control operations where a flagger must remain stationary.